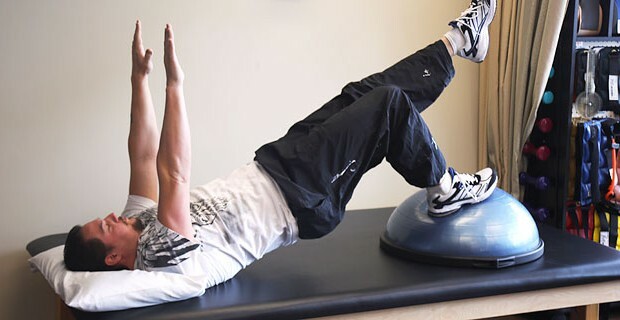 Individualized pre-operative and post-operative physical therapy following orthopedic surgery. Treatments for low back pain or neck pain. Conservative treatment for numerous musculoskeletal and neuromuscular issues. Our therapist team brings more than 40 years of clinical experience to our patients. Comprehensive sports medicine program provided to local athletes working closely with our local medical doctors, area orthopedic surgeons and athletic trainers. Cardiac Rehabilitation is a supervised exercise and education program designed to improve the health of patients recovering from a heart attack or heart surgery. Cardiac Rehabilitation reduces the potentially devastating effects of heart disease and improves the quality of life for patients and their families. Stillwater Billings Clinic Cardiac Rehabilitation program is led by Jule Bruursema, a cardiac rehabilitation registered nurse with over 20 years of experience in the program. The program was initiated at Stillwater Community Hospital, now Stillwater Billings Clinic in 1993. The program includes heart monitoring while patients exercise on a treadmill, stationary bike, upper body ergometer or recumbent stepper. The patients also receive education about the heart, attaining and maintaining heart health, diet, medications, stress management, and safe exercise practices including stretching and resistance training. 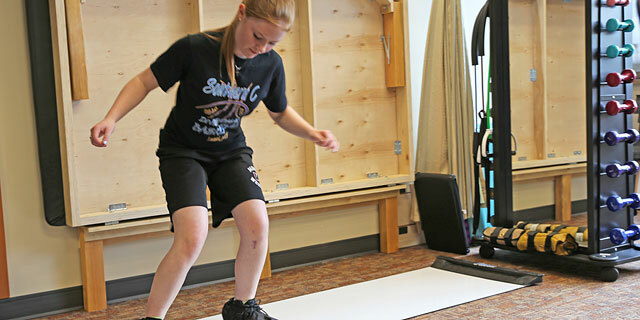 Skilled physical therapy helps patients regain mobility to transition back to home or into another community-based setting following an injury, illness, or surgery that required an acute care hospital stay. Occupational Therapy is a science-driven profession that helps individuals regain functition and/or effectively compensate so they can engage in meaningful activities. Our occupational therapist completes an individualized evaluation and then develops a customized, comprehensive treatment plan designed to meet the client’s personal goals. Interventions are based on the most current evidence-based research. At Stillwater Billings Clinic, OT services are offered to clients from youth to elders along a continuum of care from acute inpatient hospitalization to outpatient therapy and home health services (for clients who are home bound). OT specifically addresses self-care, home management skills, functional transfers, equipment needs, home assessment, energy conservation concerns, visual-perceptual deficits, cognitive impairments, therapeutic exercises, and basic splinting. Diagnoses that OT specifically addresses include stroke, traumatic brain injury, spinal cord injury, multi-trauma, orthopedic injuries (i.e. hip fractures), upper extremity injuries and cardiac/pulmonary disorders. Speech-Language Pathologists (SLPs) work to prevent, assess, diagnose, and treat speech, language, social communication, cognitive-communication, and swallowing disorders in children and and adults. SLPs often work as part of an interdisciplinary team, which may include teachers, physicians, audiologists, psychologists, social workers, physical and occupational therapists, and rehab counselors. Speech disorders occur when a person has difficulty producing speech sounds correctly or fluently. Articulation disorders and stuttering are examples of speech disorders. Language disorders occur when a person has trouble understanding others (receptive language), or sharing thoughts and feelings (expressive language). Language disorders may be spoken or written. Social Communication disorders occur when a person has trouble with the social use of verbal and nonverbal communication. These disorders may be seen in individuals with autism spectrum disorders and traumatic brain injury. Cognitive Communication disorders include difficulty organizing thoughts, paying attention, remembering,, planning and problem-solving. these disorders can happen as a result of a stroke, traumatic brain injury, or dementia, although they can be congenital. Voice disorders are medical conditions involving abnormal pitch, loudness, or quality of the sound produced by the larynx. Examples include vocal cord nodules and polyps, spasmodic dysphonia, and vocal cord dysfunction. To make an appointment, please call the Stillwater Billings Clinic main number, (406) 322-1000, and ask for the Rehabilitation Department. When arriving for your appointment please come directly into the therapy department and identify yourself to the receptionist. You will need to bring your insurance card, photo I.D. and physical therapy prescription with you.We make every attempt to run our clinic on time. This however, may be altered if our patients are not on time or if we have unforeseen emergency situations. If you arrive late, we may need to reschedule your appointment, depending on what time you arrive and the flow of the clinic at that particular time. We recommend that you wear loose comfortable clothing. If you are receiving therapy for a leg injury a pair of shorts and sneakers or walking shoes are recommend. Your first appointment will be approximately one hour in length. Follow-up appointments will generally be a half an hour in length. The frequency and duration of your appointments is based on your current rehabilitation needs which will be identified and discussed with you on your first visit.Please Note: If you are unable to attend an appointment please call us as soon as possible so that we can use the appointment time for another patient. We are providers for most insurance plans. Some insurance plans require pre-authorization prior to your first visit. If you are unsure of your insurance benefit for rehabilitation/therapy we recommend you call your insurance plan for specific details. It is your responsibility for knowing your insurance plan’s benefits. Please note that some plans have different benefits for physical therapy, speech therapy and cardiac rehabilitation. If you have any additional questions regarding your insurance please contact our receptionist, Dawn, she would be happy to assist you. In an effort to meet your needs appropriately we will be re-evaluating you at least every thirty days in order to modify and continually progress your rehabilitation. This progress report will be sent to your doctor either via fax, U.S. mail, or with you if you are seeing your doctor around the time that this re-evaluation is completed. Due to insurance requirements we need an updated doctor’s certification (prescription) for therapy every 30 days of care. Your therapist may need your assistance in getting these certifications returned from your doctor.